Not too small, but not too big, Littleton is the ideal New England town. Complete with a scenic setting, a long, storied history, and plenty to do, see, and experience, it’s no wonder nearly 9,000 people call it home – and why more and more residents flock to the town every year. 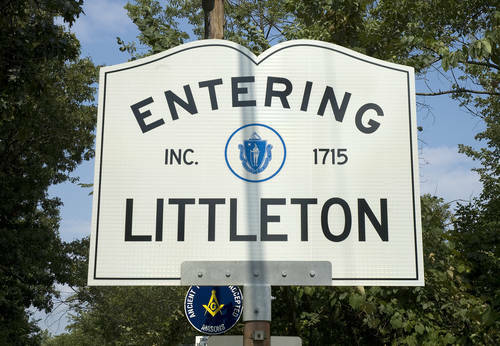 Settled in the 1600s, Littleton was officially incorporated in 1714. Since then, it’s gone through a lot of change. It played a role in King Philip’s War, its residents and minutemen fought in the Battle of Lexington and Concord, and in the 1900s, it even became a part of Boston’s high-tech movement, with up-and-coming Digital Equipment Corporation calling the town home. Today, the town is a mostly residential development that’s especially popular with military families, given its close proximity to both Fort Devens and Hanscom Air Force Base. It still retains a little bit of its high-tech ways though; IBM’s Northeast headquarters is located within town limits. But that’s not all there is to know about Littleton. In fact, this little town is full of gems to be found. Take the Reuben Hoar Library for example. Though at first mention, it might not seem like a big draw, this one’s different than your average library. Built in 1887, Reuben Hoar boasts history you can only read about in books. And though the history of this library is interesting, a trip to the Littleton Town Center makes you feel as though you have stepped back in time to colonial New England. Other fun things to do in the area? For the artistically inclined, there’s a community theater, a choir, regular local concerts and performances, and Indian Hill Music, a non-profit musical education center. For the athletic types, the town’s parks and recreation department offers lots of options. Join a sport league, sign up for a dance class, or even learn self-defense. In the summer, Long Lake presents a wide variety of water based activities, from sailing to recreational swimming. Aside from recreation, educational opportunities abound in Littleton. Littleton Public Schools, which includes two elementary schools, a middle school, and Littleton High School is known for excellent ratings. Littleton High rates a 9 out of 10 on GreatSchools, and parents and community member give it 5 out of 5 stars. U.S. News and World Report also named it the No. 273 public school in the country, honoring the institution with its Gold award. The district also boasts Francis W. Parker Essential School, a charter school, as well as Nashoba Valley Technical, which offers vocational and technical training. The educational options don’t stop there, though. The Littleton area is home to many private schools, too. There’s the Oak Meadow Montessori School, Concord Academy, The Fenn School, Groton School, Lawrence Academy, Middlesex School, the Academy of Notre Dame and more. If all these amenities have you thinking Littleton’s out of financial reach for your family, think again. The average home in Littleton runs around $406,000, less than many of the surrounding towns, though the area offers loads of properties both above and below that price point. You can even find smaller, two-bedroom condos in the $100,000-range, with more expansive properties running just under $1 million. With tons to do, great educational options and plenty of affordable real estate, Littleton is the perfect place for any growing family. In fact, Bloomberg even named it the “Best Place to Raise Kids in Massachusetts” in 2013! Updated: 21st April, 2019 10:54 AM.